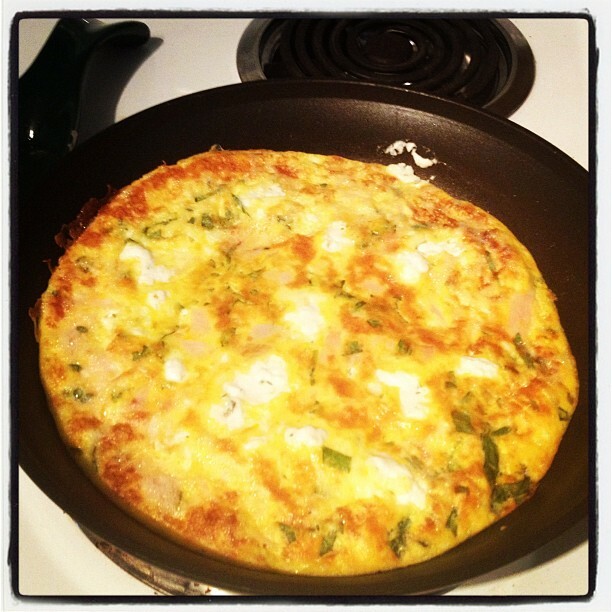 Try a Fritatta this weekend! 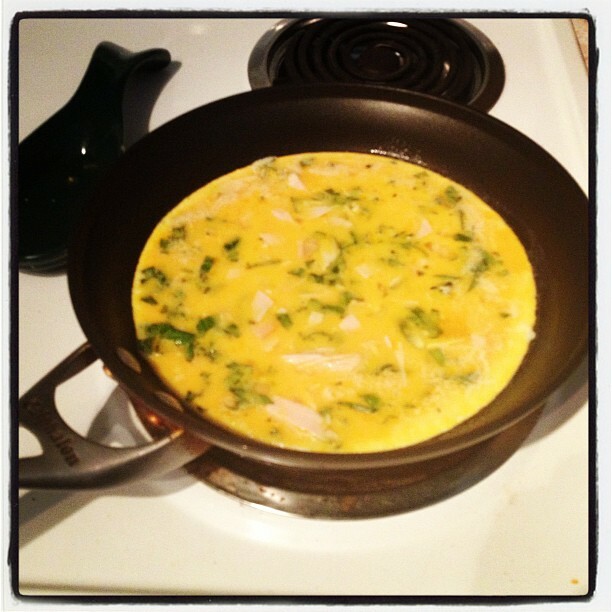 Fritatta’s are easy! I know they sound fancy but they aren’t. Let me walk you thru it. So crack your eggs in a bowl and scramble them up. Add in your herbs and turkey. Add some cheese. Most of the time I will add in some parmesan but this time I am going to add the cheese mid-way. Please hold. Take a non-stick pan and add some butter or margarine, etc. just enough to coat. Add in your egg mixture but don’t stir. Did you hear me…DON’T STIR. It’s gonna look something like this. You will see the egg mixture start to set on the bottom and the sides and that’s a good thing. 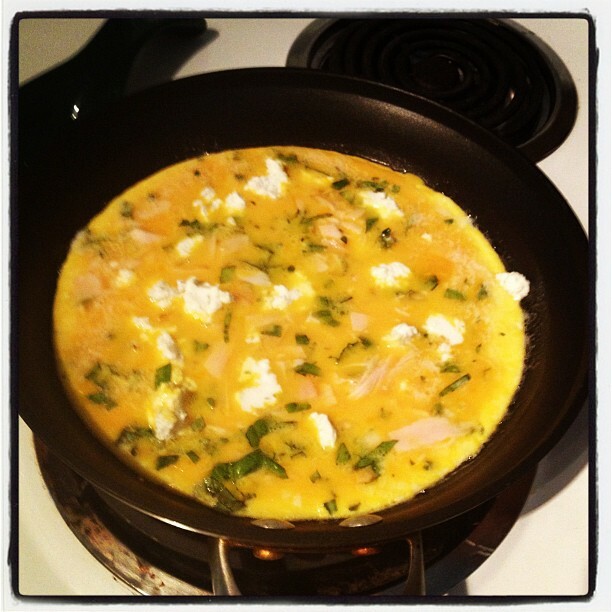 So at this point…I added some goat cheese (I know I know again w/ the goat cheese) and turned on the broiler. So the reason why we turned the broiler on is now that the bottom is cooking, we need to cook the top. 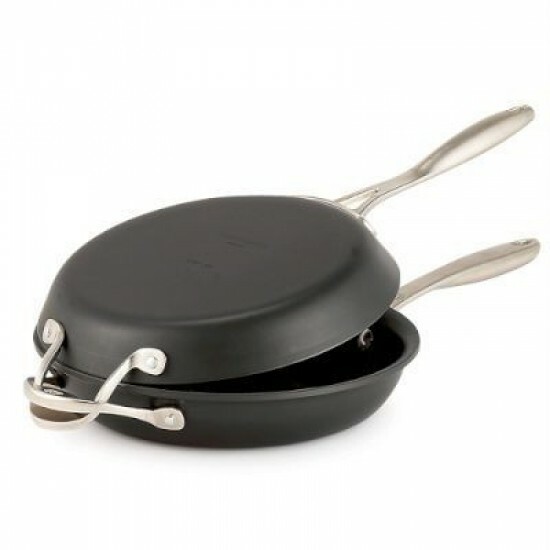 There are some fancy fritatta pans out there that are like two pans locked together. I think these are lame and unnecessary. Just my opinion. Here is a photo. I put my fritatta in the oven on broil and just keep any eye on it until it turns golden brown on the top. I chop it into four pieces and serve it up. 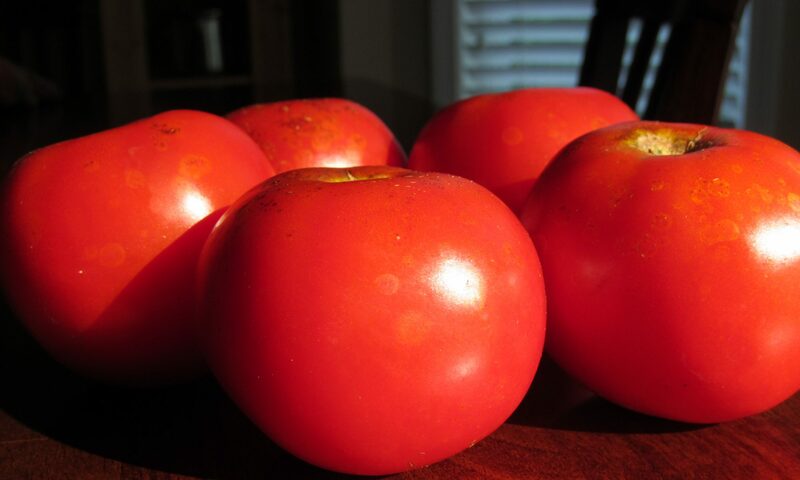 Really an easy breakfast and a great way to use up what you have in your fridge. Thanks! We gotta get you and the hubs over for dinner soon! Let’s make it happen! Deal! I’ll bring a dessert – that’s about the only category in which I think I can contribute safely without being embarrassed… :+) Do you ever use a slow cooker? I’ve just started… first recipe is a bunch of frozen chicken breasts, then a jar of salsa mixed with taco seasoning poured on top, cook for 6-8 hours. Delish! Super embarrassingly easy but this is about my speed right now! Deal. I am not good at dessert. only have homemade brownies in my arsenal. and yes i love the slow cooker but only recently started using it. made a similar recipe just used a pork shoulder instead of chicken. yum. you will definitely see more slow cooker stuff in the fall/winter.